Fury Road Minisode Part 2! The boys are back on the road in this rolling ramble, classic and almost entirely full sized minisode. How do I showcase a villain’s power? Spencer struggles to keep the lights on for this Show And Tell Episode! Sponsored by Emerald Knights Emerald Body Armor. Sponsored by Dragon Balm Z. Sponsored by Dragon Milk. Sponsored by Gut Rock Parasites. Sponsored by Pexus the Muscle Mage's Book Brand Books. Now with Pages! Cohen talks about his dnd game following the issues discussed in our season finale in this uplifting between-seasons fury road minisode. Sponsored by Hercule’s Magic Bat. Spencer Sneaks off Once more for a Secret Session with a Starburns Story Teller, Ross Clark! They talk about Campaign Prep, hot takes, and Alternate some Doppelgangers in this Special Episode! 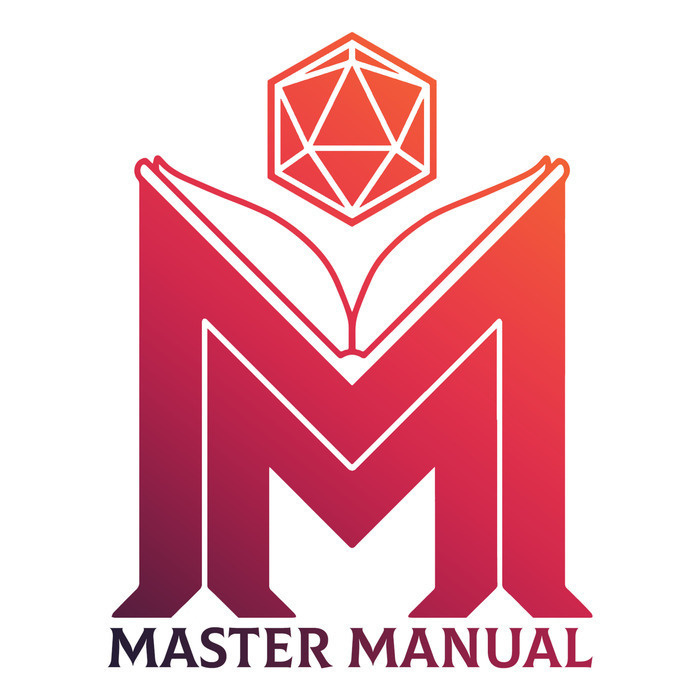 The Masters Manual defeat Kezzereck, meet up with Pexus, summon a Modron, talk Yeth Hounds, and recline in O'Houlihan the Living Pub as they chat about the weird and uncomfortable parts about being a DM in this very special burnout and work-life balance focused episode. Sponsored by Pexus the Muscle Mage's Book Brand Books. Now with Pages! It's the Season 2 Finale! Part ONE! Meaning the Boys are back in town with some Q's and some A's for your D's and your D's. Strap in, folks. The Masters Manual Kick it into Automatic as they head out once more onto Fury Road! Can Printing Presses Manufacture Spell Scrolls? How can villains be more scary? How can we make a T Rex into an AMLimal? And how is Kingdom Hearts 3? Find out Now, on Master, Man-Well. The boys are back for another rainy day Saturday Catch Up, discussing when to roll for what, how to balance made up monsters, and turn rain into an amlimal! You're gonna like the way you look. I guarantee it. The Masters Manual hit the road on a crazy and dangerous traveling road show of an episode! What is Emerald Knight? What's a Flaming Skull? What's going on? All will be revealed inside. Plus, stay tuned for a super secret bonus track after the end theme. It's Spencer singing poorly. The Masters Manual talk about Star Trek some more, and brainstorm how a swarm of rats could be something different than that. What to do when retiring an old PC to DM a campaign? Find out now, on Master Manu-L!